Google and the other search engines constantly update their search algorithms to keep abreast of human behavior patterns. In order for your practice to prosper in 2018 and beyond, your digital marketing agency will need to pay attention to two important behavioral trends that the search engines will be watching. The key to responding to this trend is content creation that targets longer search queries; i.e. “long tail search.” A good strategy should have two components: high-quality, comprehensive procedure information and “fresh” education-oriented content dealing with timely topics (Q & As, Do’s and Don’ts, seasonal topics, etc.). The procedure content (known as “evergreen content”) is the anchor for the site while the fresh educational content keeps the site relevant to the search engines on a continual basis. The other major trend for 2018 involves continual development of your online brand, separate from (although coordinated with) your website. Google and the other search engines use this brand information to make decisions about rankings. A comprehensive portfolio of positive patient comments spread across a wide range of review sites is a must. Practices often understand the importance of reviews, but focus their review strategies across too few review sites. This strategy limits the breadth of the online brand. Practices need to regularly solicit reviews on 7 to 10 of the most important sites for elective health care – Google, HealthGrades, RateMDs, Vitals, Yelp, Facebook, Facebook, RealSelf (primarily for plastic surgery), City Search, etc. Keep in mind that consumers often use sites like Yellow Pages and City Search to look up phone numbers; and once they are on these sites, they start reading reviews. Also, a practice’s reviews should be published on the practice website as well as social media. Publishing reviews on your website and Facebook from a wide range of review sites builds credibility and enhances your reputation. It also improves engagement on both your website and your Facebook page; increased engagement is an important ranking signal for the search engines. A highly engaging social media presence, where your fans regularly like and share your information with others, generates new patients and builds your online presence, separate from your website. Facebook is the most important social media platform, so practices need to ensure that, at a minimum, they have a vigorous Facebook strategy. If budget and staff resources permit, Instagram and Twitter should be added. Again, higher engagement on these platforms sends a signal to Google that your digital presence is a valuable resource for consumers, and this translates to higher rankings for your website. Tip: Practices often misuse social media as a platform for selling and promoting rather than posting educational content designed to engage prospective and current patients. Don’t be one of these practices. Profiles of you and your practice on credible third-party directory sites build your visibility among consumers and enhance your “off-site” brand with the search engines. Practices often evaluate the importance of directory sites strictly by the number of email leads generated from the profile page, and overlook the beneficial branding effects. High-quality medical advice websites also offer detailed profile pages, which can add to the power of your citations. Citations are now a very important factor in Google’s website ranking strategy. In a nutshell, the days of obtaining high Google rankings by inserting specific key words on a few pages of your site are rapidly drawing to a close. Online marketing success has moved beyond ranking for a narrow array of the vanity terms, such as “plastic surgery newport beach,” “cosmetic dentist NYC” and “lasik san diego.” This strategy has been replaced by a new system that focuses on multiple factors, including overall traffic, social media engagement, a constantly improving reputation score and the number/prominence of locations around the Web where your brand is promoted. As always, Google’s announcement creates more questions than it answers. Google did not provide any detail with regard to “how slow is too slow.” But in the aftermath of MobileGeddon, it does appear that Google is favoring optimized mobile-friendly sites, especially for queries initiated on mobile devices. With this in mind it is imperative that you make sure your mobile website (not to mention your desktop site) is up to speed and loading correctly. Questions about your mobile website? Call us at 858-454-5505 or email us at contactceatus@ceatus.com. Background: As the attention span of Internet users continues to shrink, and as the already impatient Millennials become a larger portion of the elective health care market, it is imperative that practice websites make it easy to find procedure information. If visitors have to look for or navigate to the information on your site to find it, they bounce back to Google and visit a different site that makes the information easier to find. This poor engagement by users can seriously damage website rankings, as well as conversion. 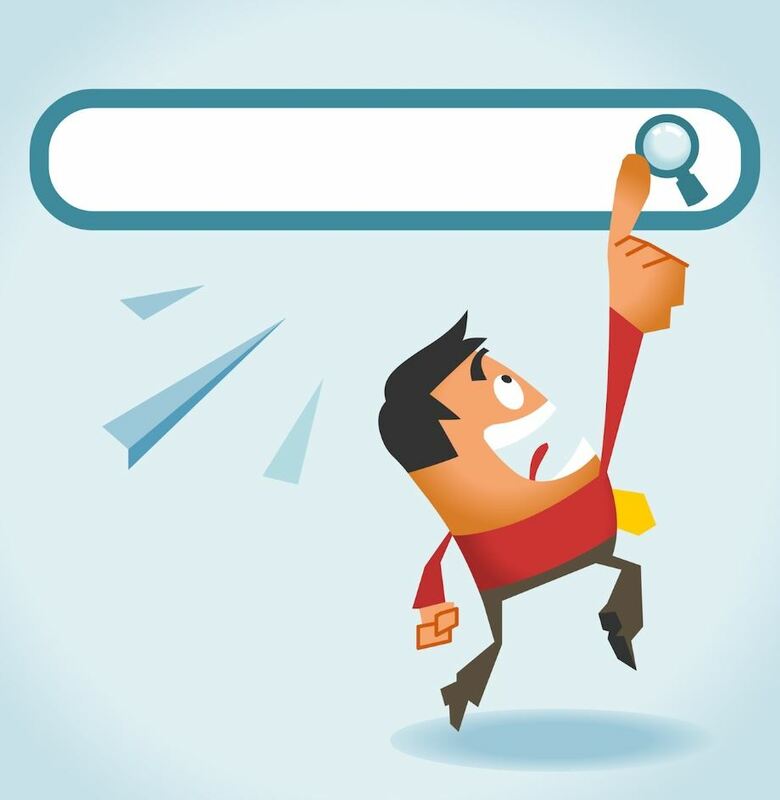 Search engine optimization techniques should be structured so that each procedure appears in the search engine results for applicable searches. This way, the prospective patient can find the information immediately when he or she enters the site from the search engines. If someone types in a search phrase for procedure information in a given geographic market (e.g., “breast augmentation sacramento,” “dental veneers charlotte” or “cataract surgery ft worth”), it is imperative that he or she lands on your website page devoted to that procedure. If not, bounce rates increase and conversion falls. Most SEO companies do not understand this issue. They take a simplistic approach and optimize the site without targeting the website appropriately for each specific procedure. Rankings in general are typically not very good with these amateur SEO strategies. More importantly, the homepage ends up ranking for the procedure-related search terms, and this spells D-I-S-A-S-T-E-R. When this happens, website visitors (i.e., potential patients) have to navigate to another page to find the information they originally searched for. The result is Poor Engagement that Hurts Rankings. And as if this weren’t bad enough, rankings for the homepage suffer as well. The homepage is just too generic and does not include enough specific procedure information to be considered a top resource by Google. When the homepage ranks at the top of the search results for a wide range of procedure terms, it sends Google the wrong message. To make matters even worse, once Google has made up its mind about which page should rank for which procedure, it is very difficult to change, unless the SEO team is highly skilled. The site has to be torn apart and restructured to “retrain” Google on how to value the various pages of the site. Problem: This month’s case study involves an eye care practice in Ft. Worth, TX that came to Ceatus with a big problem. Thanks to amateurish SEO techniques, the homepage, www.lasikdr.com, ranked for eye care procedure search terms. Although the site had a specific page about cataract surgery, this was not the page that ranked for the term “cataract surgery ft worth.” Instead, the homepage did. The practice marketing manager became frustrated that the site could never move above the bottom of the first page of Google. She could not understand why the rankings stalled. The practice’s SEO company at the time tried to convince her that nothing could be done to improve the site’s rankings, traffic and patient flow. Fortunately, she didn’t believe them. Solution: Enter the SEO expertise of Ceatus Media Group. Our team educated the practice as to why their rankings were stuck at the bottom of the first page, and explained that the SEO had to be completely redone to “teach” Google which page should rank for each procedure search term. In this particular case, the practice website had to be restructured so that all of the ranking signals on and off the site were pointed to the correct pages. Results: A month after their new Ceatus-designed SEO strategy was launched, the site’s Google rankings changed so that the correct page (https://www.lasikdr.com/cataracts-fort-worth/) ranked for the search term “cataract surgery ft worth.” Over the next 4 to 6 weeks, the site’s rankings climbed to the top 3 on Google, and they are still climbing. And, because the page is dedicated and totally focused on cataract surgery, conversion has increased, the bounce rate has fallen and, most importantly, patient flow from the website has increased. Now patients interested in cataract surgery in Fort Worth land on the correct page. They no longer have to navigate to other pages on the site to learn about cataract surgery. The site moved up from No. 9 to No. 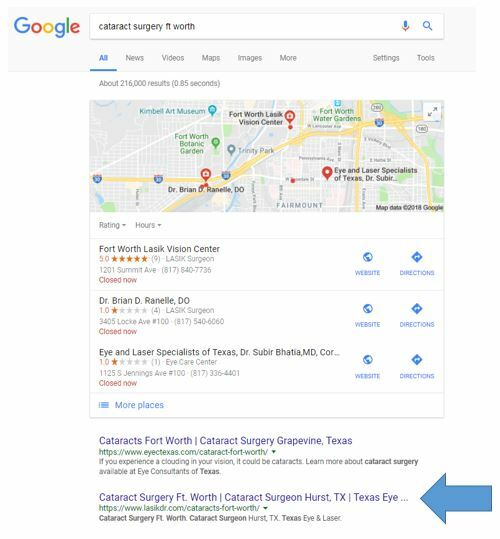 2 for the search term “cataract surgery ft worth,” because now the correct cataract surgery page is the target of the SEO efforts. Questions about your SEO Strategy? Call us today at 858-454-5505 or email us at contactceatus@ceatus.com. Is your Digital Marketing Strategy out of FOCUS? 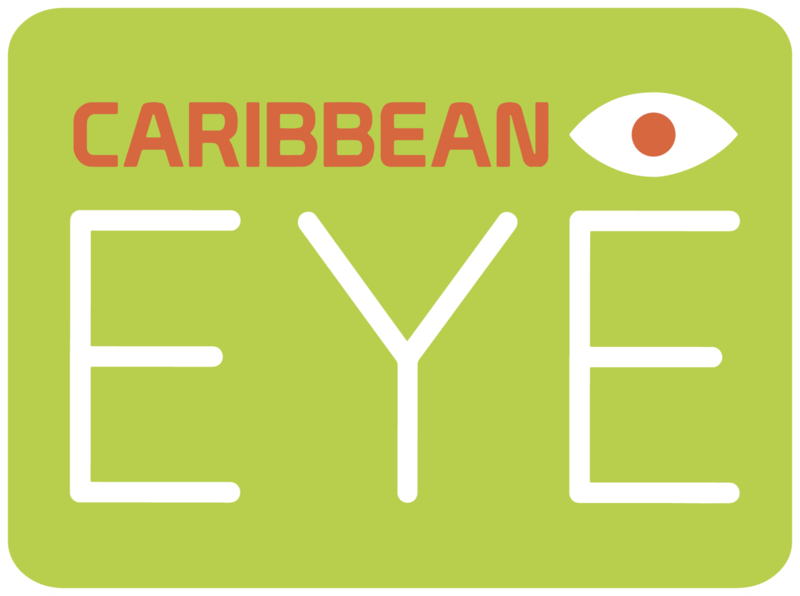 Come visit CEATUS at this year’s Caribbean Eye conference and see how we can help you grow your practice. Stop by booth 47 and find out how to expand your Digital footprint! Give your Internet strategy a smile makeover. Stop by our table to talk to a CEATUS Internet Marketing Expert and get a FREE Digital Strategy Review! 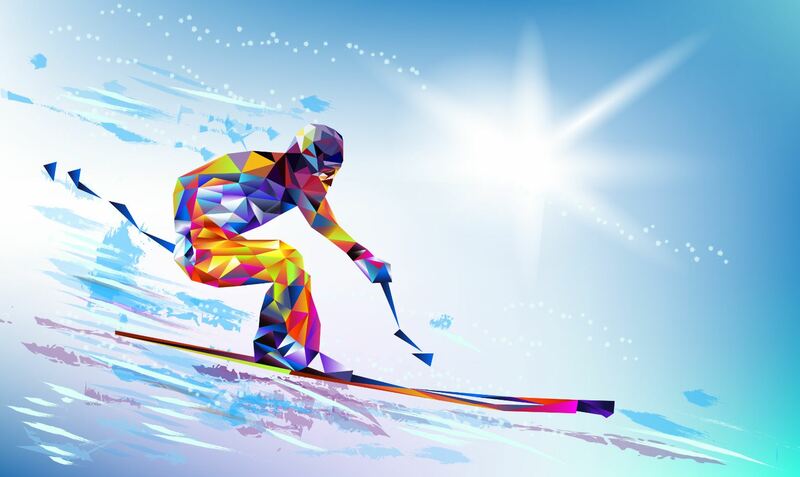 Winter Olympic Moments that Took Our Breath Away! The 1980 U.S. Men’s Olympic Hockey Team was a hodgepodge of amateur and collegiate players, and most people didn’t believe they were capable of winning much of anything. But thanks to their determination, grit and commitment they ended up beating the Soviet powerhouse team in a memorable 4-3 semifinal and then went on to beat Finland to win gold! Miracles do happen! The minute they took to the track at the 1988 Calgary games the Jamaican bobsled team won over the hearts of Olympic viewers and media alike, even inspiring the Disney movie Cool Runnings. While they came out medal-less, their inspiring story is one of the Winter Olympics’ finest moments to date! Age didn’t matter to Tara Lipinski as she entered the 1998 Olympic Games in Nagano, Japan. She came to win and win she did, becoming the youngest individual (at age 15) to win gold at a Winter Olympic Games. She holds the title to this day. While competition is fierce at the Olympics, once in a while a story of stellar sportsmanship steals the show. One of Russian Anton Gafarov’s skis broke during the semifinals of the freestyle ski sprint. Gafarov realizes that elimination could be on the horizon but out of the sidelines rushes Canadian ski coach Justin Wadsworth with a replacement ski, thus allowing Gafarov to finish the race! Life may knock us down, but we must get up again. Enter Austrian Hermann Maier, who suffered a horrific crash on his first run of the 1998 Nagano winter olympics, one that could have left him seriously injured. Slightly shaken but undeterred, Maier returned to win two Olympic golds! Golden Girl Peggy Fleming Wins the Only Gold for the U.S. In 1961 a terrible plane crash killed the entire U.S. figure skating team, including Peggy Fleming’s old coach, thus devastating American figure skating for years. Determined to win and return dominance to figure skating for the U.S., Fleming skated her heart out, taking gold at the 1968 Olympics in Grenoble, France. It was the only U.S. gold that year. In the early hours of February 14, 1988, the day of the 500-meter event, Jansen was informed that his 27-year-old sister was dying of leukemia. This news would alter the games for him and cause a series of unfortunate falls. However, in 1992, Jansen returned to the ice and surprised everyone with his unbelievable comeback and by winning gold in the 1000 meter race. Jansen then went on to skate the victory lap with his daughter in his arms, creating one of the most unforgettable moments in Winter Games history.